Free up lost horsepower on your Chevy Camaro by upgrading your SLP Underdrive Pulley. The SLP Underdrive Pulley for Chevy Camaro frees up horsepower by lightening the pulleys for extra performance. By upgrading your pulley wiht the SLP Underdrive Pulley on the Chevy Camaro, you will be freeing up lost horsepower and torque due to the parasitic drag from the factory pulleys. 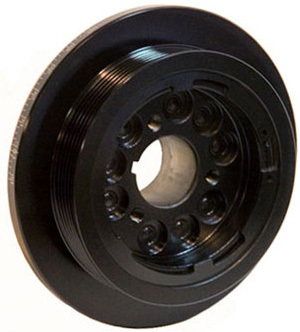 The SLP Underdrive Pulley is underdriven by 25% resulting in 6hp and 4lb/ft torque gains to the wheels. What separates the SLP Underdrive Pulley from the competition is that these pulleys include a pair of extra tall belt retention walls that eliminates belt slippage issues that's common with other underdrive pulleys. These underdrive pulleys are made from 100% steel for extra strength, and has integral timing marks and built-in puller mounting threads. 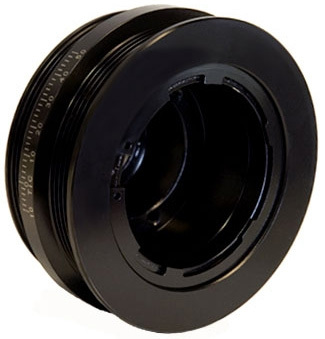 The SLP Underdrive Pulley includes a new balancer bolt and instructions for an easy installation.